Price list for 2013 urban stencil portrait art gift made from photos and pictures by real stencil artists at Your Face on Vinyl. A unique art gift for any occasion. *Delivery time is estimated from time of sending completed artwork, not from time of placing order. 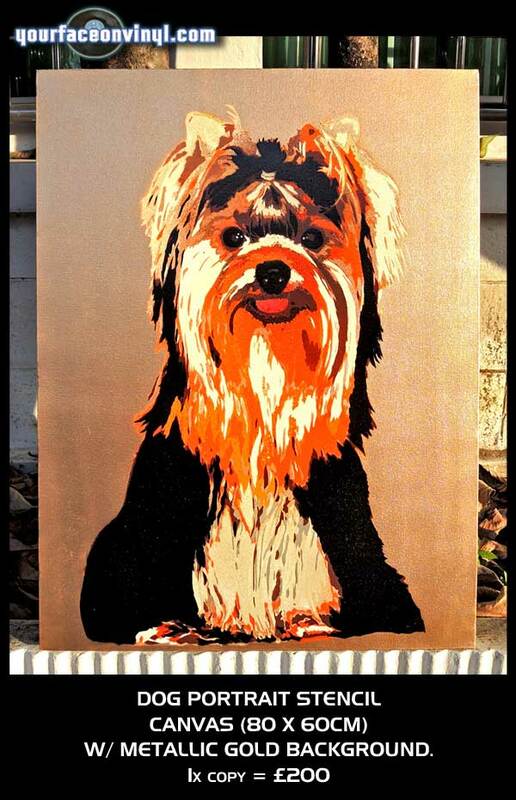 Order your very own stencil art on vinyl or canvas click here now! For more comprehensive pricing and exact quotes it’s always best to send us a message, prices may be cheaper or more expensive depending on your exact request. Remember! – if you don’t see the size or style that you require below send us a message, we can produce stencil art for any size and situation. Price list for 2013 urban stencil art gift made from photos by Your Face on Vinyl. Art gifts for any occasion; birthday, Christmas, graduation, celebration, wedding, anniversary, baby shower, or any other time of year! Please remember all the prices are for unique high quality handmade artwork produced by real artists. All the artwork is made using the photos you send us and therefore you are buying a very unique art gift. 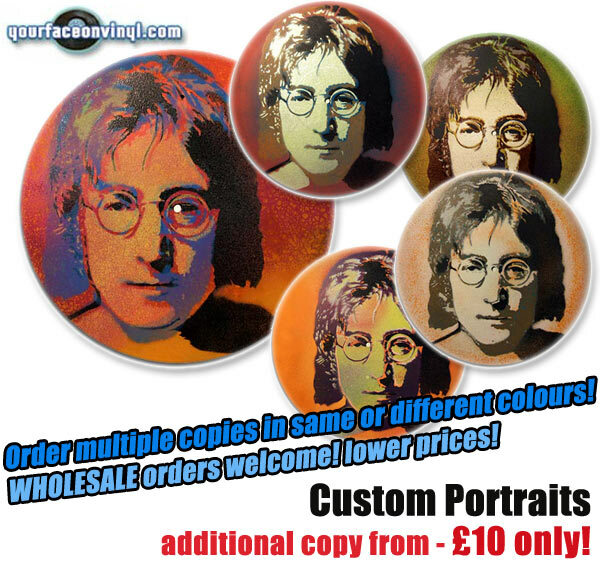 For more comprehensive pricing and exact quotes it’s always best to send us a message, prices may be cheaper or more expensive depending on your exact request, in which case Your Face on Vinyl will create a unique and secure payment check out button for you to complete your purchase online. However some people prefer not to get involved too much in the art work creation stage and leave the artistic decisions up to our artists. It’s ultimately up to you how involved you would like to get in the process of making your unique portrait art gift from photos. Remember! – if you don’t see the size or style that you require in the price guide send us a message, we can produce stencil art for any size and situation and can also do home visits if you wish to have a mural style artwork or stencil design art piece painted directly onto your wall. All orders are shipped from Bangkok, Thailand, all orders are hand made by UK artist, for more information please see our FAQ section.